Friday morning we were up at the break of dawn. Took our luggage out the door, hopped on the bus, a train, and then the plane. 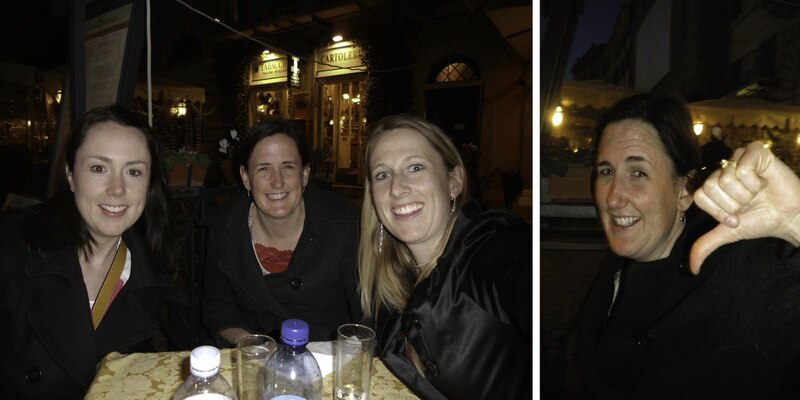 2 hours later we found ourselves in ROME! 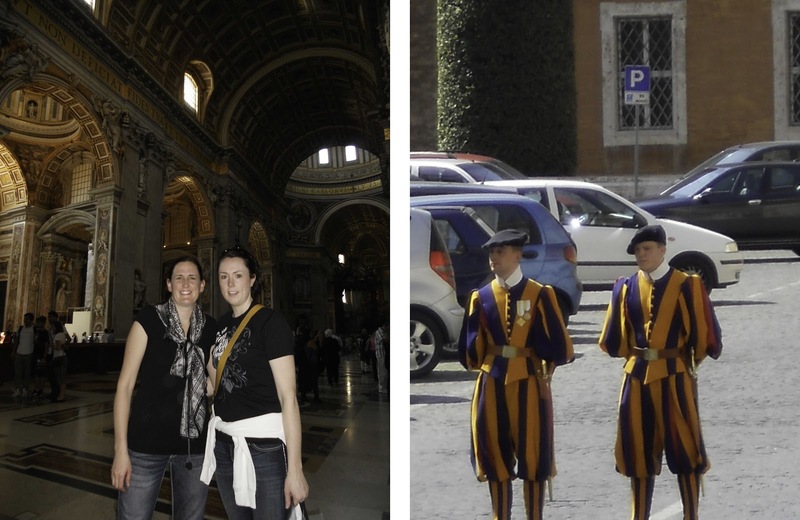 I was so excited to show my sisters Rome. 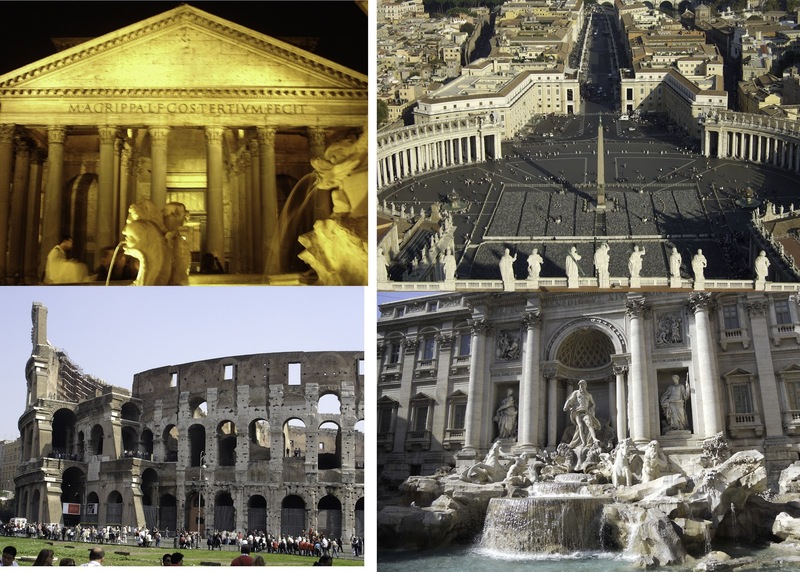 Rome is one of favorite cities and I love the history, food, museums, architecture wonders, dirtiness, the whole works. We took a taxi from the airport to our hotel and dropped off our bags. We were informed the trains were on strike that day so that meant, walking for us. 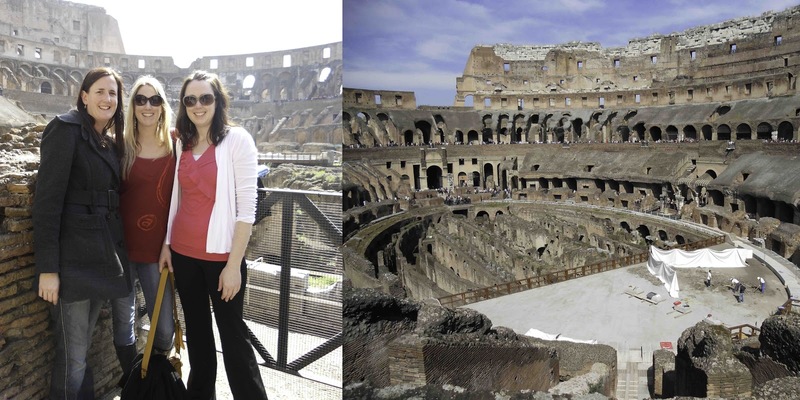 Our first stop was the Colosseum. Pretty amazing site no matter how many times you see it. We clocked over 20 miles the first day. After the Colosseum we set out to find lunch. 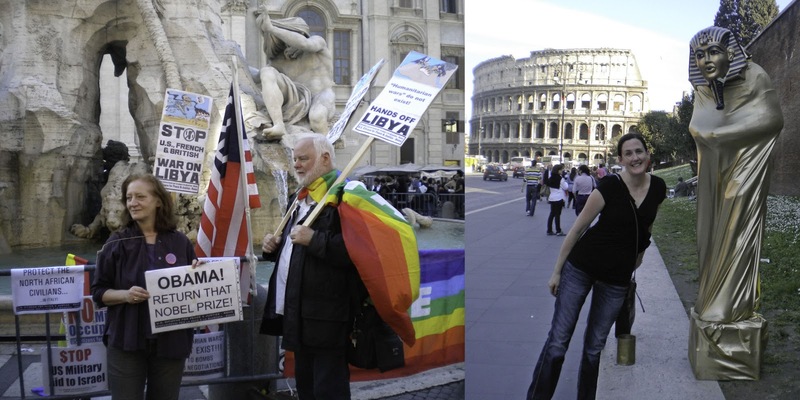 Amye and Jodi would say I took them on a wild goose chase but in my defense, the streets in Rome can be very confusing. We were in search of little recommended pizza place. Now another story to tell. Amye is my blunt sister, she tells it exactly how it is, and I love that about her. Well we walked probably 3 miles looking for lunch, and everyone was hungry. After we finally found it, Amye was not happy. Long story short, she let us know her dissatisfaction. 🙂 love ya Aim! Resting our tired feet on the Spanish steps. We didn’t want another 3 mile meal search so we settled. 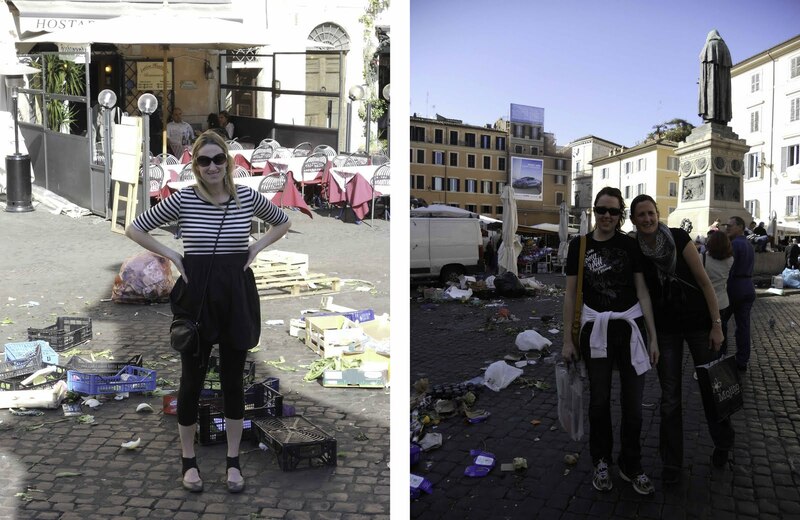 We ate in Pianzza Navona, pre-warned, by me. 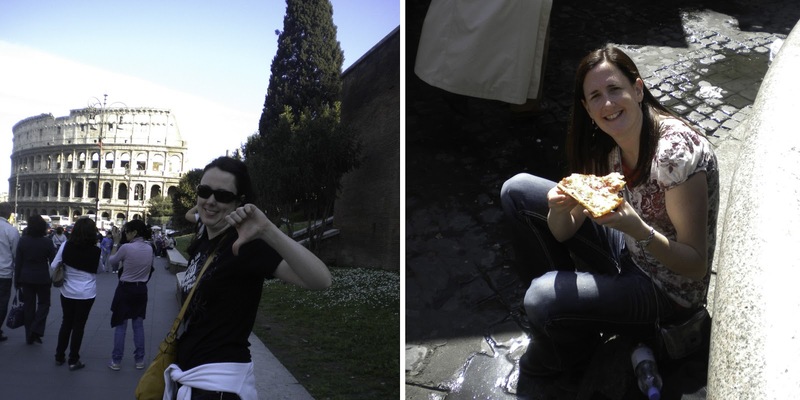 I warned my sisters the food would not be good in such a touristy area. It was gross! Jodi, let the waiter know it too. 🙂 Embarrassing but funny, my sisters tell it how it is, gotta love them for that! 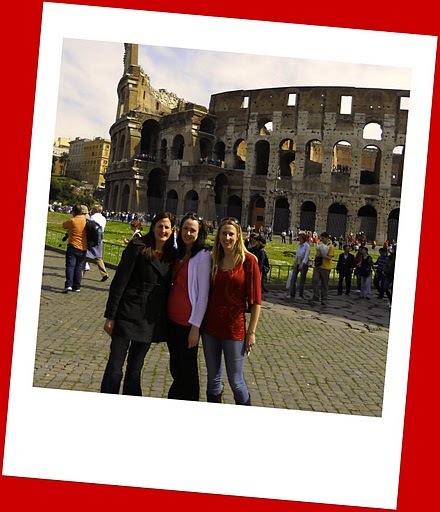 Enjoying some of the liveliness of Rome. 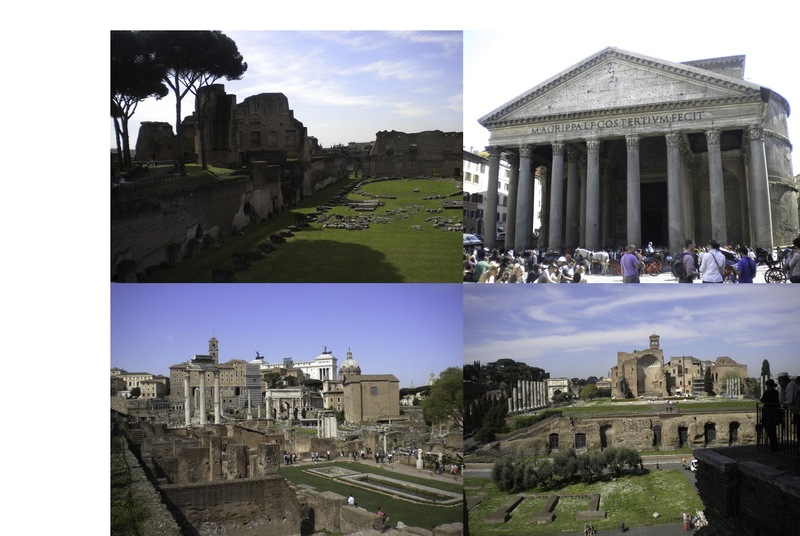 Roman Forum, Palatine Hill and the Pantheon. Pantheon at night, Collesum, The Vatican and The Trevi Fountain. 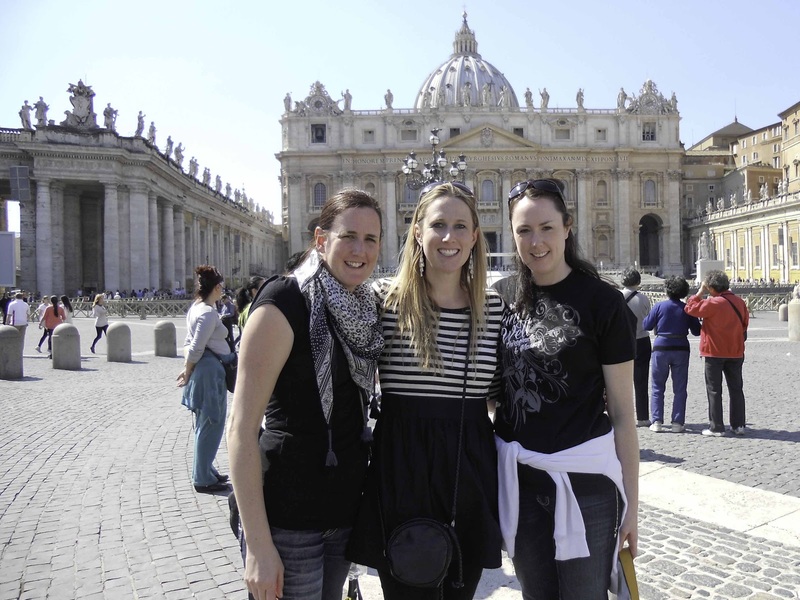 The Vatican, we had such a great trip together!